As Hong Kong’s pro-democracy sit-in protests wane, the city’s impeccably behaved student demonstrators can already claim a moral victory. Yet no amount of peaceful dissent is likely to cause Beijing to budge on its conservative reform plan for the city’s 2017 elections. Over the past fortnight, student protesters have gained public sympathy and succeeded in laying bare the illegitimacy of the local government. They were never going to win against China, but it may not matter. This is because the man who originally inspired the city-wide occupations has a Plan B—one which will likely infuriate Beijing and may even work. 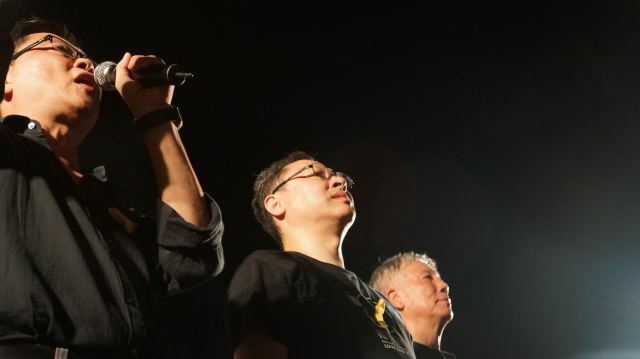 The idea to block roads and bring Hong Kong to a standstill as a protest of “last resort” was first suggested by law professor Benny Tai almost two years ago. State media and pro-government groups dubbed Tai and his co-organizers “radicals” and “extremists,” labeling their proposal “terrorism.” But just as support seemed to be fading for Occupy Central last month, students embraced Tai’s strategy for mass occupations off the back of their own week-long class boycott. This gave rise to the pro-democracy “Umbrella Movement” with tens-of-thousands of mostly young protesters shutting down some of the city’s main thoroughfares. They scrubbed protest sites clean, recycled trash and stood firm despite tear gas and attacks from pro-government mobs—thus winning hearts and minds at home and abroad.